A gentle and effective cleansing oil with powerful revitalizing energy from the oil of 5 seeds. 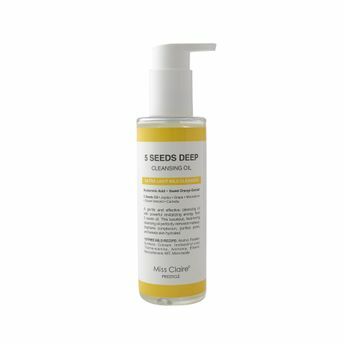 This luxurious face loving cleansing oil by Miss Claire perfectly removes makeup, brightens the complexion, purifies pores and leaves the skin hydrated. Explore the entire range of Cleanser available on Nykaa. Shop more Miss Claire products here.You can browse through the complete world of Miss Claire Cleanser .